When Snapchat officially changed its name to ‘Snap Inc’ earlier this year, many took little notice. As the company gears up for a potential IPO and begins to court advertisers, it seemed like a functional name change, designed to appease or appeal more to Wall Street. But it’s turned out to be much more than that. It’s been a huge breakout year for Snapchat. The brand has come into mainstream consciousness and moved past the point of being a fleeting success story that might float off into the ether, like so many viral apps before it. It’s now a tech giant, with genuine claims around the honeypot that is digital brand advertising. Snapchat’s ability to roll out lenses andUX improvements faster than we’ve seen before has resulted in plenty of talk ability . Perhaps the best compliment that you can get is when Facebook tries to steal and replicate your product features, a reoccurrence throughout 2016. But Snapchat’s biggest marketing success story in 2016 hasn’t come from the app. With the name change comes a widened focus on hardware and products beyond mobile, and the first cab off the rank is the unforeseen and incredibly successful launch of Snapchat Spectacles. Spectacles is a pair of Snapchat-connected glasses that can record a video with a duration of 30 seconds long. They may seem like your ordinary pair of cool sunnies, but each pair actually contains a camera with high-tech features like wireless charging, Wi-Fi and a Bluetooth. When you press record, a blue light flashes and it’s simple to instantly upload video to the Snapchat app. The product looks cool (to my untrained eye), and it’s really fun. Unlike other ‘camera in glasses’ products (which we’ll get to later), you might actually get complimented for wearing these specs. So why the incredible hype? The simple answer is brilliantly structured, carefully cultivated ‘viral marketing’. Usually I hate that term, but in this case, the ‘v’ word is apt. One of the main selling points is simplicity and friction removal. Snap is aiming to remove the last layer of friction associated with recording video – having to hold your camera up and press a button. This might sound minimal and trite, but to the most expectant group of consumer there’s ever been (Adam Morgan calls this generation the ‘children of Uber’, weaned on apps that do everything for them), a more immediate way to record video is welcome. It’s an extra 2-3 seconds saved from not having to fumble for your phone, open the app and record, plus it’s a handsfree experience, meaning you can record things without needing to hold a phone in front of your face. The product also might actually help people to be ‘more in the moment’, because once you press the button, the recording starts, and that’s no intermediary between you and your experience, just a pair of lenses. Of course, the obvious comparison to make is Google Glass. A similar, albeit more expensive and expansive product, Glass used a completely different launch strategy, which many believe led to its ultimate failure. It quickly became uncool, something that your nerdy uncle might wear to dinner. 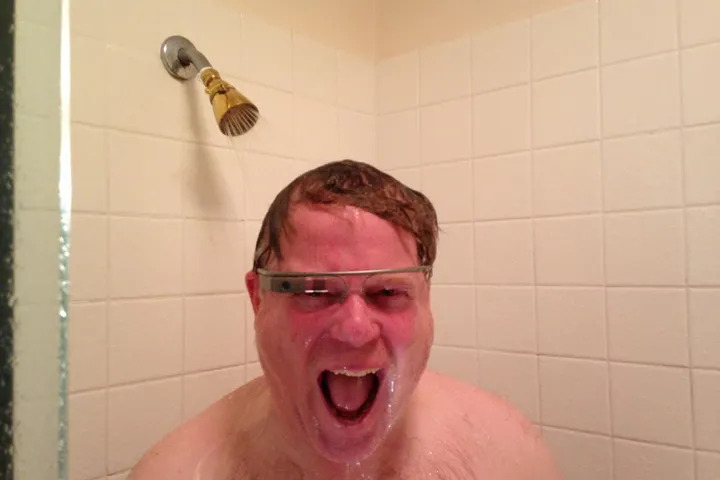 And more importantly, because there were so many potential usage cases, it became unclear what Glass was actually for. Snapchat have learned from that, and every communication from the company has been purposely very measured and clear with regards how the product is presented. They’ve done a great job of setting expectations from the get-go. Spectacles are cool. They’re a fashion item. They’re a fun ‘toy’ and they’re not for tech geeks or CEOs, they’re for heavy Snapchat users like you. They’re a status symbol, but not ostentatiously priced. And they’re not for answering email, watching YouTube videos on the go or anything else you can do with Glass. The use case is simple – record video and share it quickly to an app you already use – Snapchat. There’s no confusion on the user’s part. People can make up their mind quickly, they either see a value in the product or they don’t. And that’s welcomed. Like all great companies at the moment, Snapchat has made it easy for people to say yes or no and then move on. Simple. That’s a great lesson to brand and product managers. While it’s often easy to fall prey to scope creep, often, a clear, pared back proposition is often most effective. Snap didn’t make the product available to just anyone upon launch. Google made that mistake and ended up with the creepiest middle age white guy photo of all time ruining their carefully cultivated brand impression. Only the biggest Snapchat influencers have gotten access to the glasses, while all product imagery focuses on cool young ‘millennials’ having fun with the specs, another carefully choreographed detail. Even the media have found it tough to get their hands on the specs, and the secondary market for them on Ebay is huge. Normally, not giving media access to your product would be suicide. But in this case, Snap weighed the pros and cons and decided that creating intrigue was the best policy. Creating value through the medium of scarcity is a well worn path, both by tech brands and fashion brands. It’s a simple premise – when we are deprived of an option, we see it as more valuable. Even if it’s irrational, we want something we can’t have. The appearance of scarcity positively impacts our perception of value – it’s the tenet that the high fashion industry has based itself on in recent times, or why there are mile long queues to get into certain exclusive nightclubs at the weekend. Google have also employed similar tactics to launch tools like Gmail and Google+. One Plus and The Fifth Watches are also good examples. Snap has taken a leaf from this playbook. The strategy seems to be to only sell a limited number of glasses as a way to get demand pumped up. The product is, for now, only available through a vending machine called the ‘Snapbot’, which has predictably attracted enormous queues. The machine itself is an extension of the personality that Snapchat infuses into everything that it does. Equipped with a motion sensor, the Snapbot appears to be sleeping, then wakes up to display sample video clips from the glasses whenever anyone walks by. Three simple coloured knobs allow the user to pick their hue — coral, black or turquoise — before the glasses appear to vend out of the bot’s smiling “mouth” (after the payment of $130 of course!). Already, the machine has appeared in various random locations, including Venice Beach, the Grand Canyon and a remote location in rural Oklahoma, stopping for only 24 hours before popping up in another spot. All of this allows Snap to control the number of Specs on the market and the experience of purchase, in the same way retailers like Warby Parker strive to own every part of the buyer journey. Of course, this approach to distribution comes with its own PR benefits, in that every time the bot moves, the media interest gets re-inflated. It’s PR 101, but it sure is working to create hype. That’s not the only way the brand has ‘baked in virality’ into the product. In a similar manner to how Vine gained traction by allowing frictionless sharing to Twitter and making its video clips immediately noticeable, all video shared from the Specs comes with a distinctive circular crop. This too is a careful detail that plenty of thinking has gone into. Because of the distinctive style, when video is taken from Snapchat and shared on another social network, it’s obvious where it comes from. In essence, Snapchat has branded every piece of video that comes from Specs by making it a distinctive asset compared to every other type of online video. That’s a smart ‘growth hack’. When video from Spectacles starts going viral (which it will) then they’ll reap the benefits of this ongoing built in brand reminder. Another plus to this tactic is there’s no need for traditional media spend. If owned (Snapbot/product itself) and earned (launch coverage/Snapbot location coverage) media are doing the work for you, then why bother spending on ads? Snap can postpone media investment until they have wrung as much benefit as possible, using their tie instead to perfect the product experience before going mass market. This is very much a prototype version of the product too, and given the old adage that ‘those adopting your product earliest will have the most tolerance for its flaws’, the metered rollout strategy is also a way for Snap to improve its hardware on the fly. Heavy media support is the last thing Spectacles needs to be a success at this stage. 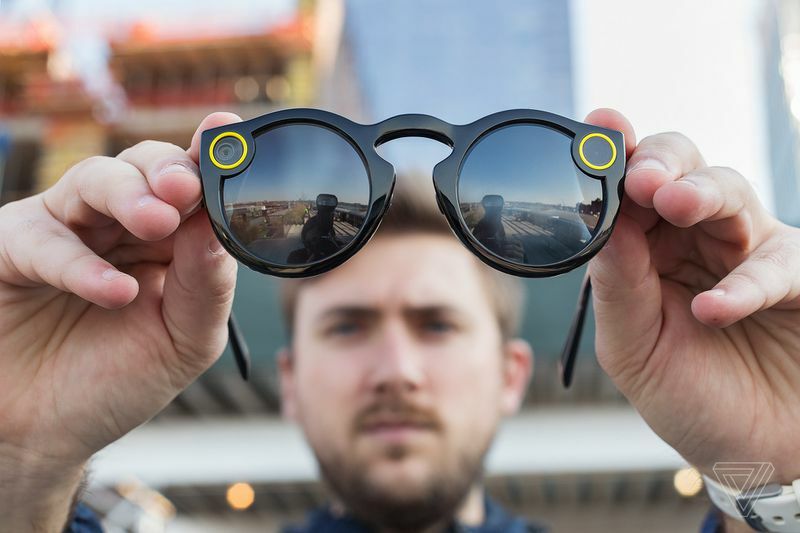 Of course, Spectacles are at the lower end of the wearables category, and their primary purpose is to keep Snap in the public eye, while pinning existing users into the Snapchat platform even further. The tactics used are a mix of old school P.R. and basic consumer psychology, so there’s nothing new here. But there are some good takeaways for modern marketers from the rollout. Through careful choreography, Snap has managed to create one of the biggest tech launch stories of the year. That’s a perfect tech marketing case study and more importantly, it gives the company serious momentum leading up to 2017’s potential IPO. Now, anyone know where I can get a pair? One of the big trend lines of 2016 so far, as discussed in my January ‘Tracking’ report, VR is reaching a tipping point. Most importantly, the technology is being democratised quickly. At the very base level, 360 video, while not real VR, is now supported by the world’s two biggest video consumption platforms Facebook & YouTube, and hardware like Google Cardboard and Samsung’s new $99 Gear VR offers a ‘pretty good’ VR experience without breaking the bank. VR can be as cheap as chips, but if the content doesn’t exist to entice and ‘wow’ users, then it’s all in vain. There’s one real killer feature that VR and 360 video holds over other types of video – in theory, it’s incredibly powerful for creating a sense of empathy. Imagine the opportunity to be see the world from someone else’s eyes and to experience what life is like from a completely different viewpoint to yours, to be transported into any scenario, good or bad. While it sounds like some sort of futuristic nonsense, that reality is here. Or at least that ‘virtual’ reality is here. You’re essentially putting a person directly at the centre of a scenario, and putting them in control of what to focus on. If you’ve ever experienced real VR, you’ll understand what I mean – it makes the user feel present in the world that they’re inside and feel present with the people that they’re inside of it with. It feels like real life. That’s an incredibly compelling proposition for brands, particularly those who need to tell stories, to make people feel connected to a cause or to change minds. Some brands are starting to experiment and to figure out novel ways to use it effectively to tell a story and to drive empathy for a cause. Sectors like charity and media are leading the way, and when you think about it, that makes sense. For charity, the difficulty has always been capturing attention, generating empathy with a cause and making people see things from another side. For media, the desire has always been to tell better, more engaging stories. Virtual reality and even 360 video is brilliant for all of these things. I’ve never been to a refugee camp. Never felt the despair of escaping from a war torn country just to be told you can’t build a new live. But if I can be put into that scenario, I can grasp just a little bit what it feels like. And it might make me want to help. Here are some examples of brands and charities using virtual reality and 360 video to create empathy. In Russia, where domestic abuse is a real problem, a charity used a short YouTube 360 video clip to create a mirror effect – abusers are shown themselves, and sufferers are shown that there’s other people suffering from this scourge, and that there’s a way out. One of the leaders in the immersive journalism space is Nonny De La Pena. Her ‘Project Syria’ experience showcases to Americans what it’s like to be caught up in a terrorist attack, putting the audience on scene in a way that no other technology can. For the 30th anniversary of Chernobly, Frontline PBS recently commissioned ‘Return to Chernobyl’ to showcase what it’s like to visit a forgotten city. The Guardian have created a VR experience to illustrate the horrors of solitary confinement. Elsewhere, the UN has created its first ever VR film following a Syrian girl, Amnesty has given headsets to street fundraiser to bring Syrian to life for donors, resulting a 16% increase in direct debit sign-ups and Charity:Water has shown the effects of well drilling on an Ethiopian community. It’s not just charity brands that can benefit from VR and 360 video. The likes of Gatorade have used the technology to showcase what it’s like to be in an athletes shoes for example – a great way to humanise superstar sports stars. But for me, the technology is best used by those looking to drive empathy for causes or plights. In a global society that’s becoming more polarised (Trump, the refugee crisis, and rising racial tensions across the Western world for example),360 and VR brings the old cliche of ‘to really understand someone, walk a mile in their shoes’ to life. As Milk says, it’s the ‘ultimate empathy machine’. As a strategist with one of Ireland’s largest advertising agencies, it’s an important part of my job to be on the pulse of trends and to reflect these patterns in brand communications (when relevant). 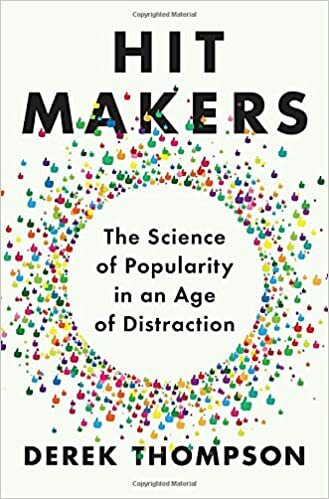 One of the things I’ve been writing about for quite a while is the whole area of tech overload, decreasing attention spans, productivity and mindfulness. Given the fact that the majority of us own smartphones, work on computers and use our leisure time to browse the internet or chat through social/messaging apps, it’s an important topic. That’s why meditation apps like Calm and Headspace are constantly at the top of the iTunes charts, and why there’s a whole industry dedicated to a backlash against constant connectivity. It can’t be good for our brains are constantly switched on all day. Search trends for ‘mindfulness’ and ‘meditation’ in Ireland (below) show how we’re waking up to healthy habits of the mind, and trying to stay present in our increasingly busy lives. As a concept, mindfulness is nothing new. Buddhist monks have been practicing it for over 2,000 years. But recently, it’s gone increasingly mainstream. So how are advertisers reflecting this trend? There are a couple of approaches. Firstly, brands are starting to tacitly reflect the theme of mindfulness in mass advertising, by positioning their product as a catalyst for allowing people to be in the moment. Chivers and Nescafe below are two very similar examples – overworked parent lost in thought or work, product enters the equation and suddenly they’re snapped back into the present. The use of a kid is cliched (and a bit cynical! ), but you get the message. It’s the same sort of ‘live in the moment’ advertising that many car companies employ. Others have used the theme in activation pieces or video content. Kit Kat have an obvious opportunity to play in this space (‘have a break’). For example, the Nestle brand has launched wi-fi-free zones in Amsterdam to help people “have a break” by blocking internet access within a five-meter radius. Another example revolved around running a blank TV ad at Christmas. Simple, but effective, and understanding of the fact that people are overstimulated and crave time out from the rat race. Lucozade Ireland’s most recent TV spot is a variation on the mindfulness trend. The drink is positioned as a way to get into a ‘flow state’. The term ‘flow’ was coined by Mihály Csíkszentmihályi and is described by as ‘the mental state of operation in which a person performing an activity is fully immersed in a feeling of energised focus, full involvement, and enjoyment in the process of the activity’. Lucozade tap into this modern desire for productivity and presence in an irreverent way, and for me, it really works. Elsewhere, while many brands have sponsored Wifi, some like Kit Kat have actively railed against it. Dolmio Australia used its position at the dinner table to help Mum grab kid’s attention. A covert pepper grinder blocks all internet signal, meaning guaranteed ‘device down’ time at the table. Whether this grinder actually exists doesn’t really matter. It caught people’s attention and got the message of ‘switching off’ across. Similarly, Amstel beer temporarily installed cell phone lockers in bars around the UK, with patrons who stored their phones getting a free beer as part of a promotion that aimed to remind people how to socialise without digital distractions. For Valentine’s Day 2013, Spanish telecom operator Movistar told consumers: “Love is something that deserves our full attention, and this February 14th, Movistar would like you to stop paying it to your smartphone.” A humorous YouTube video directs viewers to an app, I Off You, that lets people give significant others the ability to disconnect their phone. In the US, Buick ran a digital campaign in support of its Regal GS, in which it encouraged drivers to be #InTheMoment and engage in life instead of being buried in their smartphones. It’s clear that this trend isn’t going away any time soon. Some of the hottest apps of the moment (Uber, Just Eat, Hassle) shortcut menial tasks, and maybe there’s a learning point there too. While brands need to be careful of trying to force themselves into a conversation that doesn’t involve them or indeed making people feel guilty about their hectic lives, there could be a role to play in giving people back their spare time, and helping them enjoy the present a bit more. 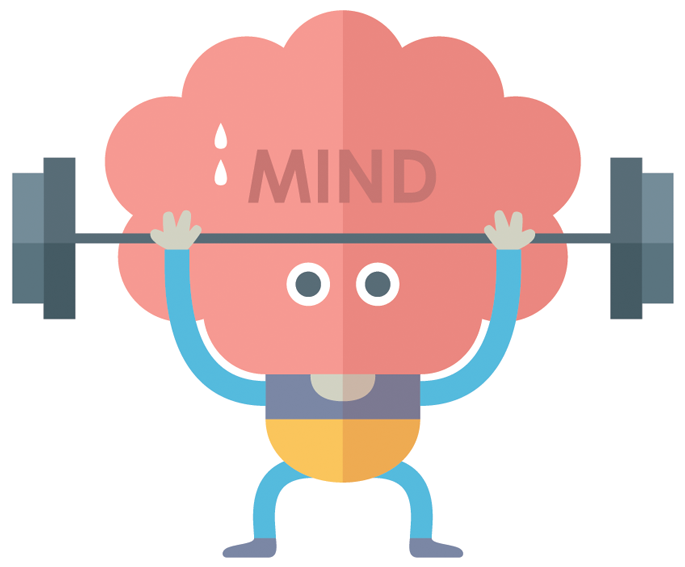 Ultimately, the words mindfulness and meditation may not show up anywhere in your communications. Not every marketer can channel Buddhist zen monks! But the theme can be leveraged in a variety of ways, and understanding why this trend matters shows empathy with your customer base.